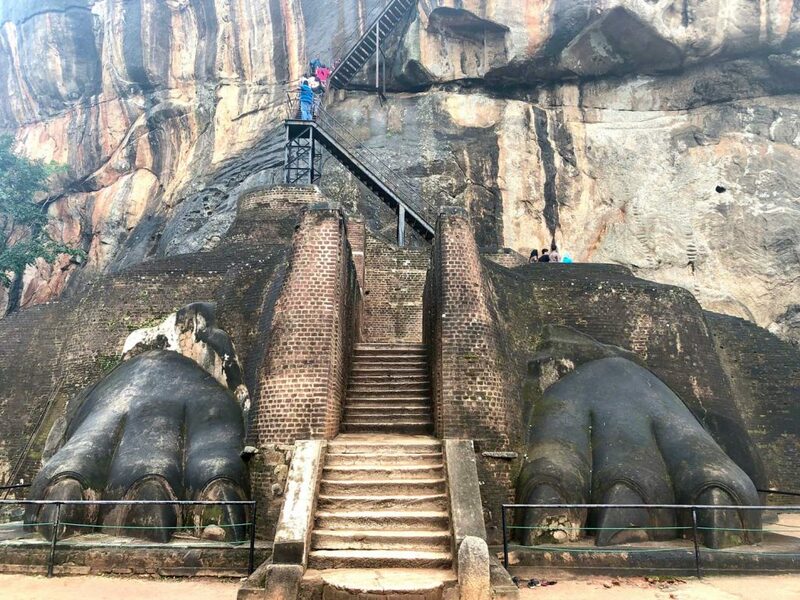 Sonia Hays shares her joy on visiting Sri Lanka, which has something for everyone Not far from the southeast coast of India sits the beautiful island of Sri Lanka—so close that the two thin peninsulas seem to want to reach out to each other. Our journey began from Mumbai, and after flying for two-and-a-half hours, we reached Colombo airport where a well-equipped van suitable for a large family awaited us. 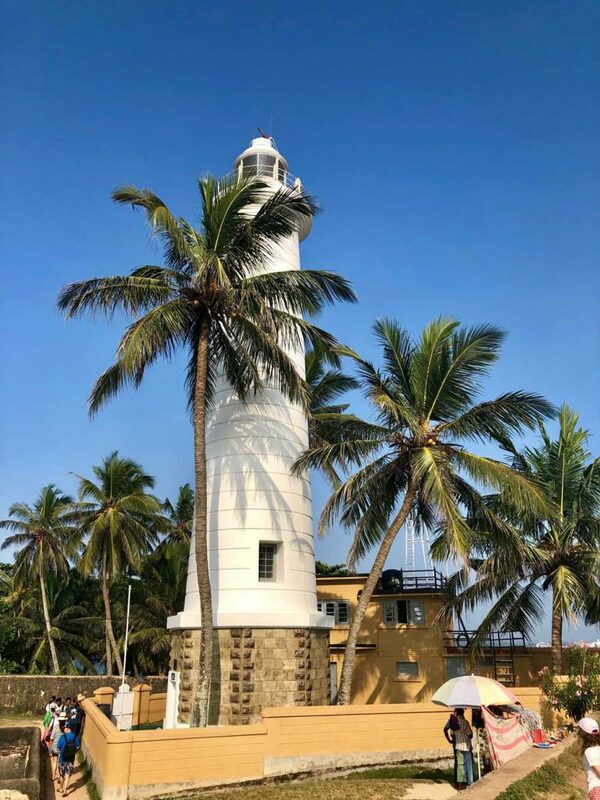 Our first destination was Bentota, a popular tourist spot on the west coast, about 80 km south of Colombo, located in the Galle District of the Southern Province. The drive was smooth thanks to an easy motorway built with foreign investment. Our hotel was nice, with spacious rooms, and we were lucky to experience our first truly pink sunset of the holidays as we relished the pleasant weather. The next day, we headed further south to the city of Galle, about 120 km from Colombo. The capital city of the Southern Province, it is considered one of its jewels, being home to a UNESCO World Heritage Site—a 300-year-old Dutch Fort. The city was first colonised by the Portuguese and the fort is wonderfully appealing to the eye for its combination of Portuguese, Dutch and British architecture. Walking through the traffic-free charming streets, we felt transported in time. There are many stores, ancient churches and mosques, local art galleries, grand mansions and an endless choice of restaurants inside the fortified area, ideal for a family of foodies with high standards. The challenge was in deciding where to eat! The walk by the edge of the fort was a highlight—the view of the clear ocean and the fortified cliffs on one side and the distinctive rooftops on the other were a sight to behold. Following the fortified wall, we made our way to the lighthouse from where a white Buddhist temple can be spotted on the other side of the bay. Nearby is a boulevard that was once the site of a Dutch hospital and is now a nice shopping and restaurant area. Last, but not the least, we stumbled across a Dutch warehouse dating back to the late 1600s, converted into the National Maritime Museum. It is very big, but a place to learn about the many wrecks found in the sea nearby. Sadly, we learnt that the archaeological part of the museum was lost when the tsunami hit Sri Lanka in 2004. Rickshaws in Sri Lanka are colourful and a key method of local transportation. For some reason, the Galle Fort rickshaws seemed even more attractive, making them hard to resist. After one more day in Bentota, we decided to explore a giant Buddha statue nearby that drew our attention. 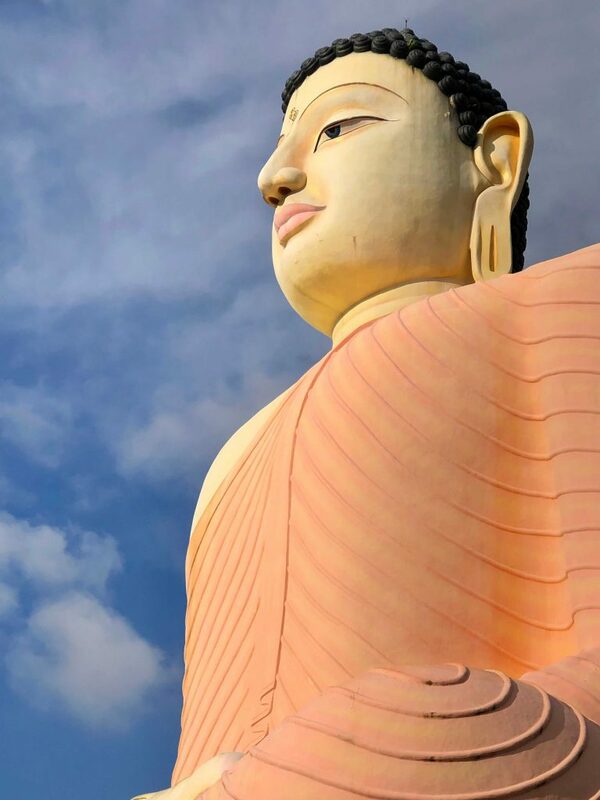 A landmark in the town of Aluthgama, the grand Buddha at Kande Viharaya Temple (mountain temple in local language) is believed to be the largest Buddha statue in the region. We looked quite insignificant standing next to it. The temple itself is quite a treasure, having been recognised by the government as an important archaeological site in Sri Lanka. The weather was nice the next day, and we spent some time by the pool and had a quick walk along the long, beautiful beach. After lunch we first made our way to the tourist location called the Brief Garden. It was a long drive and the garden secluded and hard to find. The main rusty gate is guarded by two unusual male statues that seem to be looking down at visitors with a cheeky grin. The garden is part of a beautiful house built in the early 1930s. The man behind it all, Bevis Bawa, a landscape designer, had realised his vision for the perfect place to entertain while enjoying nature. The garden is about 20 acres, with all kinds of plants and different species of exotic birds and small creatures, fountains, grand staircases at different levels and secret passages. We were taken on a tour and learnt about the life and history of the exotic place and the people who lived there. On the way to Koggala to the Turtle Hatchery and Conservation Centre, we stopped to eat a local delicacy—king coconut and corn on the cob! It was a perfect afternoon snack, especially after the succulent meals at hotels and fancy restaurants. On reaching the hatchery, which is doing an amazing job of rescuing and taking care of these animals in danger of extinction, the children were allowed to release a few baby turtle into the sea. What an emotional experience! We kept wondering for days about the fate of our baby turtles in the wide ocean. 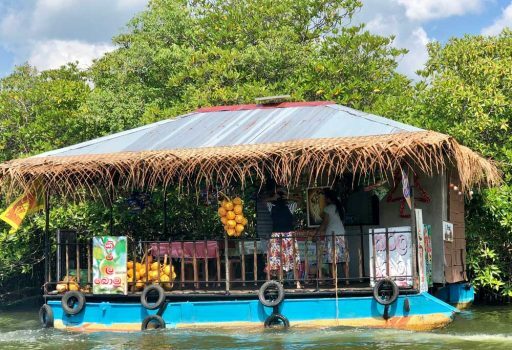 The following day we went on a river safari in the Madu Ganga River with a guide to explore the estuary and see one of Sri Lanka’s most cherished treasures—cinnamon. We slid the boat through some mangrove caves, visited a Buddhist temple and met a monk who showed us how he transcribed ancient text on pages made from banana leaves. 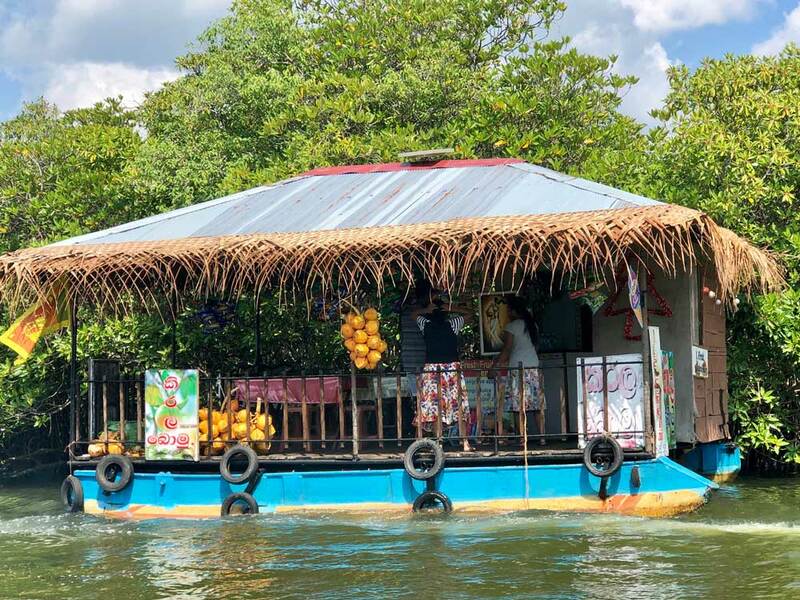 We got a chance to see river wildlife while quenching our thirst with a king coconut bought from a store on stilts right in the middle of the river. Our next destination was the Yala National Park, located in the Southern Province and Uva Province. The trip was long and at times scary, because of narrow roads filled with buses, rickshaws and all types of vehicles taking their time along country lanes. Nevertheless, our skilful driver manoeuvred his way past the oncoming traffic. With most town activities centred around the roadside, it was entertaining to see the day-to-day life of the locals. The landscape was beautiful, predominantly rice paddy, and there were water buffalo and birds. Crocodiles sunned themselves alongside the numerous lagoons and rivers. Roadside vendors were selling king coconuts, sweetcorn and all kinds of exotic fruits. The National Park and the fabulous hotel we stayed in, pretty much in the middle of nowhere, were surrounded by the sea on one side and the large expanse of national park on the other. 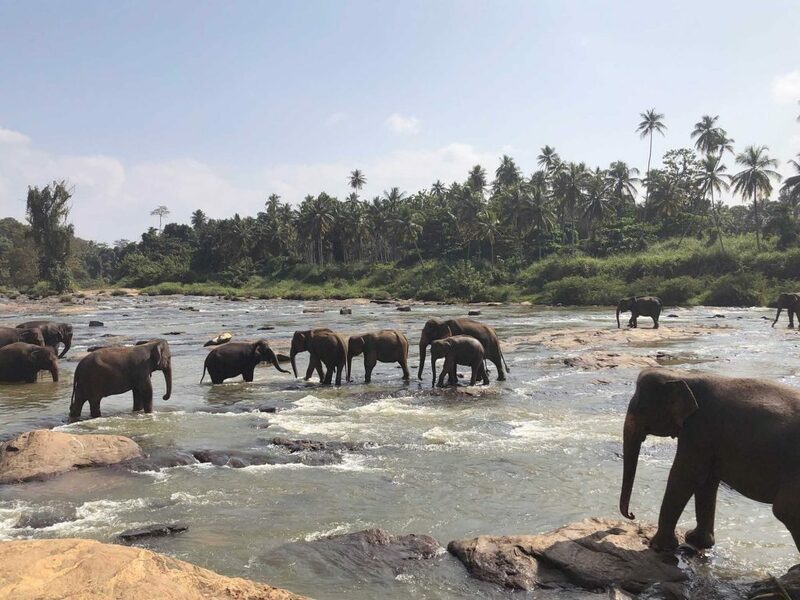 The park is home to many native species such as the magnificent Sri Lankan elephant and 44 species of mammals, and boasts of the highest density of leopards. The early morning forest safari was exciting. The breathtaking sunrise welcomed us and we spotted all kinds of animals. Our old friend, Mr Crocodile, thrilled us with his hunting capabilities as he leapt out of the water to catch a hovering bird. Numerous varieties of birds, the spotted deer, buffalo, monkeys, wild boar, elephants and the back of a leopard spotted through a gap in the trees were quite a treat. You don’t need to go far from the hotel to see animals since the hotel is located in their own backyard. An elephant wire protects diners from a potentially hazardous guest. A couple of nights later we were off to the central part of the island, Kandy, the second largest city in Sri Lanka. Surrounded by mountains, rainforest and tea plantations, it is easy to surrender to its beauty. 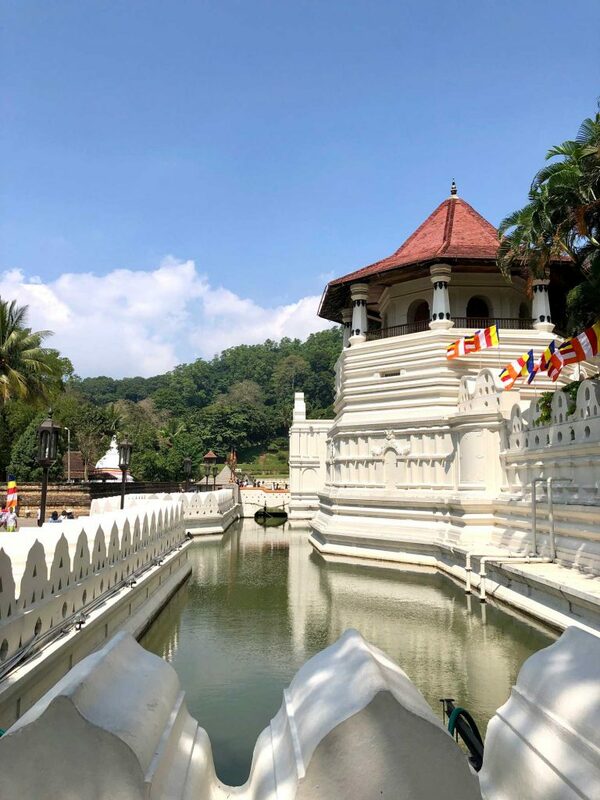 We took a day to explore the historic Temple of the Sacred Tooth Relic or Sri Dalada Maligawa, which houses the relic of the Buddha’s tooth, and strolled around the manmade lake alongside the temple. Many rituals and celebrations take place each day and it is visited by monks, pilgrims and tourists. The next morning after breakfast, we made our way to Sigiriya or Sinhagiri (lion rock), a 200-metre-tall ancient rock fortress listed as a UNESCO World Heritage Site. An architectural and archaeological wonder, this 1,600-year-old fortress was once the home of an eccentric king who had 500 concubines and was carried up and down the more than 1,200 steps by four of his most competent soldiers. The gardens that surround the base of the rock are spectacular. We climbed the steps to the top of the rock, viewing the magnificent, well-preserved paintings on the rock wall and admiring the incredibly breathtaking view. After King Kashyapa died, the palace was abandoned and later reused as a Buddhist monastery during the 14th century. On the way back to Kandy, we visited a tea factory where we got to taste top quality teas after learning about the process of making it. We set off for Colombo in the morning, but took a little detour to visit the Pinnawala Elephant Orphanage. The place is an orphanage, nursery and captive breeding ground for wild Asian elephants, and hosts the largest herd of captive elephants in the world. The elephants were getting ready for their bath down by the river, so we got to see them parading down the road in a line, led by the matriarch. Finally, Colombo, a cosmopolitan capital city with an ambitious project on its doorstep. The city landscape will be very different in about five years’ time… maybe worth another visit then. Memories are of clear air, blue skies, large clear sandy beaches, with all kinds of aquatic sports on offer. This includes the chance to dive on a wreck, immerse oneself in some history, culture and nature and enjoy the amazing seafood. After a few days in Sri Lanka, one can immediately see why in the past few years, this place has become the new hot spot tourist destination.